Ho Chi Minh City is the largest city in Vietnam by population, with just over 7 million people living there. Previously known as Saigon, the name was changed at the end of the Vietnam war, to honour the communist leader Ho Chi Minh. Originally part of the Cambodian empire, it was founded by the Khmer people as a fishing village. According to Khmer folklore, it was given to the Vietnamese government as a dowry to a marriage between a Vietnamese princess and a Khmer prince to stop the constant raids on Khmer villages. In 1698, Vietnamese administration was set up by a Vietnamese general, Nguyen Huu Canh, officially joining Ho Chi Minh City to Vietnam. The city was attacked and conquered by the French in 1859, as part of the Cochinchina campaign, which established the French colony of Cochinchina; the southern third of Vietnam, including Saigon. The Vietnam War started on the 1st of November, 1955, and lasted until the 30th of April, 1975. Also known as the Second Indochina War, this period saw the French Colonials leaving Vietnam, and being replaced by US soldiers. North Vietnam, backed by the Soviet Union, won the war and joined North and South Vietnam into one country. 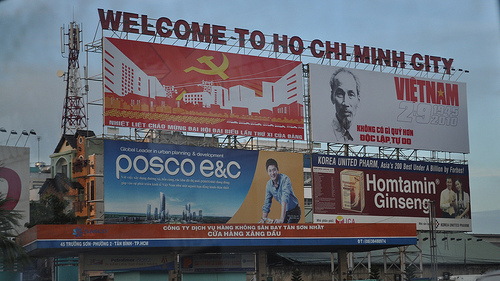 Just after the war, in 1976, Saigon was renamed Ho Chi Minh City, in honour of the Communist North Vietnamese leader, Ho Chi Minh, although the name Saigon is still used today, but in an informal way, normally to refer to the urban districts at the centre of the city. Today, Ho Chi Minh City is the economic capital of Vietnam, with the majority of business, especially any foreign trade happens here. Vietnam is also becoming a more technologically advanced country, meaning more high-tech businesses are being founded in the city. A lot of historic buildings and relics have been saved by the government, as Ho Chi Minh City is the major tourist destination in Vietnam. The city is generally enjoyable and is a great place to find bargains.